For the next 8 weeks Kelsey Chomik and I will be helping you figure out how to respond to those difficult sibling rivalries with your kids. It might be about a fight over a toy, who is faster, or who gets more attention. Whatever the situation we are here to walk along side you to help. In this first part we will be discussing how to handle different kinds of kids when a conflict starts between them. Jen wakes up to get dressed and get the kids going for school. She follows pretty much the same routing each morning: say ‘Morning’ to her husband Brad, pet the dog and let her out again, and pour her cup of coffee. She heads upstairs to wake Ben, (10) Jackson (9), and Emily (6). And just like her routine it seems the kids have gotten into their own routine: as soon as Jackson realizes that Ben got out of bed first, already has his clothes on and to the potty first Jackson starts in with, “Ben! I was there first! Mom! Ben cut in front of me and pushed me! He always does that!” And deep down Jen knows this is the start of a bad day for Jackson and that makes her feel bad. Jen wished she knew how to handle situations between her boys but especially it worries her because it’s getting hard to understand what’s wrong. When Jacks was little she thought his moods were just normal for a toddler, but now in 3rd grade it seems to be getting worse. Everything she and Brad have tried doesn’t seem to work. It is often hard for us parents to understand how to help our child. Kids often don’t understand themselves simply because the executive part of their brain used for problem-solving isn’t fully developed just yet. What kids need is to feel understood. When they feel understood by their parents they are in a better position to understand their own feelings. This will help them make better choices and here is why. When kids live together it brings a lot of good things but also a host of natural problems – like getting to the potty first instead of having to wait when you need to go. 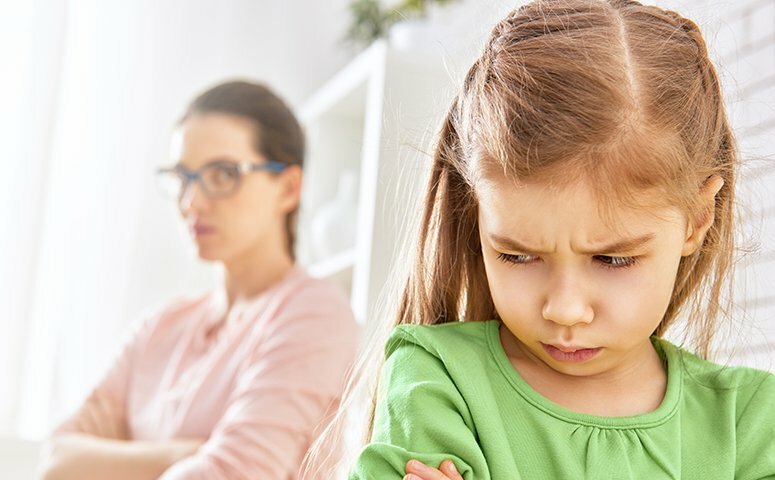 When problems occur because of another sibling they become something that child can’t control because other kids are unpredictable and have their own will. Kids can quickly start to feel locked into the power struggle with the other child and feel like there is no way out. To make matters worse, they start to think it will always be this way. And if parents don’t help just the right way then they become another source of frustration. Jen found herself starting to dread going upstairs. Each morning it was something different. Then she started pleading, sometimes yelling, and always getting stressed out herself. She tried to get Brad to get them awake but he tended to over-react to Jackson so that did not work either. Compounded was the fact that when the kids came home from school she knew it would only ramp up the same conflicts but over different things. So now her day was getting preoccupied with dreading picking the kids up. So here are some things she and Brad started to do to try and help Jacks feel more understood. That made Jacks feel he was contributing and important to how the family worked. It was also an early lesson to watch for Jacks trying to tell Ben what to wear and to help Jacks let Ben make his own decisions. That made Ben feel respected too. Brad also helped them plan for any specials class or recess time they wanted special shoes, socks or clothing for. The boys especially liked talking about after school tomorrow and what they would like to do before dinner. This ‘planning ahead’ behavior stimulates the executive functions of the brain and helps kids become better at anticipating issues and problems and planning for them. Lastly at night, Brad would bring up the morning issue but frame it non-judgmentally, to be as objective as possible even though it was very personal between Jackson and Ben. Something like this, “I know there has been a challenge with who gets to the potty first. What do you guys think? What kinds of ideas can you guys come up with to solve that problem?” It is so important here to validate both sides of an issue and the feelings kids have without making either feel inferior. When parents do this it helps kids understand their sibling better too and their idiosyncrasies and personality preferences. Kids start to learn how they can help their brother or sister when they see them upset. When the boys came up with a workable solution Brad praised them and reinforced that they came up with solution all by themselves. At bedtime he lets Jen know how it went. Next morning comes. Brad is off to work early and Jen is on her way upstairs. When the boys execute their plan Jen acknowledges how they are following through on their own. If they get past the power struggle over the pot she praises them later on. Even at dinner parents can go over how well kids did in the morning. Jen and Brad and their kids don’t ride off into the sunset. This is not a fix and everything is a snap from this forward. What it does do, however, is re-connect parent and child through felt understanding. Instead of pushing and pulling a child to change and shape up or ‘Be like Ben’ it promotes understanding of how they are feeling, supports their equality and dignity in finding solutions to problems, and increases their self-confidence.